One of the popular desserts around here is pudding pie. 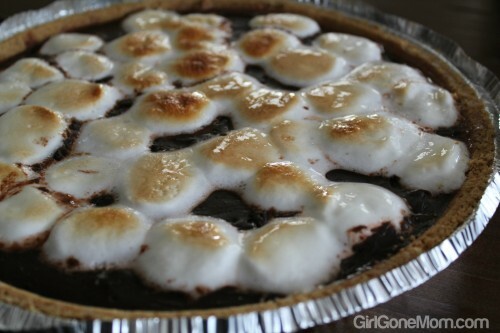 In honor of National S’mores Day I wanted to share our favorite: S’mores Pudding Pie. It’s great for when you want dessert on a weekday but don’t want to go crazy. 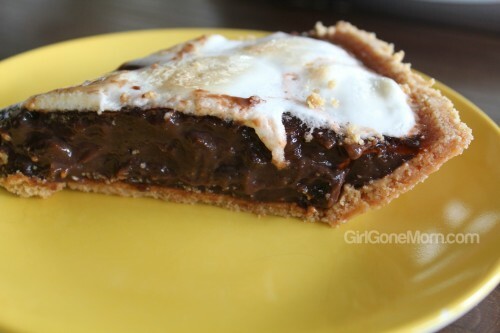 Normally we make chocolate pudding pie in an oreo crust but for some reason our grocery store doesn’t carry it anymore. Good grief! So I picked up a few graham cracker crusts weeks ago and have been meaning to make something with them when my husband made his request for another pudding pie dessert. Chocolate pudding? Check. Graham cracker crust? Guess so. What else can I do with this? The cool whip was frozen, so I had to think of something creative. Chocolate + Graham Crackers + Marshmallows = S’MORES!!! Step 1: Pour your pie filling into the ready-made crust. Step 2: Top with marshmallows. I only had the campfire ones, so I sliced them. Step 3: Broil in the oven, watching carefully until the marshmallows are melted and slightly browned. Step 4: Cool as directed. this looks delicious! since Thanksgiving is coming up, I may have to add this to the menu! 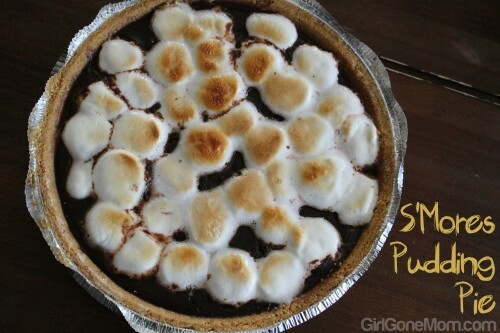 This sounds amazing – and much less messy than making s’mores over a fire! That right there is a total win and so full of summer lovin’!!!! !